Gleam Hair Studio is a Elite L’Oreal Salon Professionnel. Determined to trade on reputation rather than name, Gleam Hair Studio is the place to go for the very highest standards. Friendly, talented staff doesn’t just make you look the way you want, they make you look better. Gleam is the name to know ! Located in the heart of South Miami, Gleam Hair Studio offers complimentary parking in front of the Salon. Gleam Hair Studio is the salon of choice for people who love to look their best. Choose from any one of our stylists for seamless quality and service. A blend of superb cutting, beautiful color work, flawless finishing and personalized guest service means you can rest assured you are in the hands of true experts. We deliver ongoing training in the latest trends and techniques to all our staff at Gleam Hair Studio to ensure you receive a consistently high level of service. 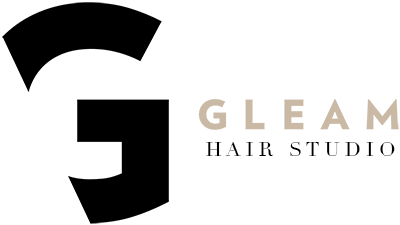 Gleam Hair Studio offers the very best in cutting, color, blow-dry, hair extensions, and men’s hair styling. Gleam Hair Studio accommodates a sleek, stylish design offering a welcoming ambiance and friendly environment where precision cuts and colors are achieved by the team of professionals. We want you to love your look and constantly strive to offer the very best range of up-to-the-minute high quality hairdressing services available to give you beautiful hair that stands out from the crowd. Gleam Hair Studio is specialized in “Balayage” Highlights and Ombre effect Techniques. We always welcome your feedback on the service you have received at Gleam Hair Studio. Please contact us at gleamhairstudio@gmail.com.